Based in Surrey and operating around the M25 area, Be Constructive offers a wide range of building and construction services. We utilise our expertise to optimise the outcome of our customer’s projects, ensuring that the final result is of the highest quality – whether it’s for commercial properties, flats, bungalows and more. We can offer our clients the benefit of our experience by giving our technical advice and delivering comprehensive solutions to a wide variety of customer needs. We are always at the helm of project management, effectively covering a vast range of services over a large area. Some of our services include refurbishments, extensions, loft conversions, external wall insulation, internal renovations and new builds. Our company ethos is based on the importance of communication throughout each project that we undertake. We make sure to continuously communicate with our clients from start to finish, collaborating to ensure that the client's input is always valued and upheld. 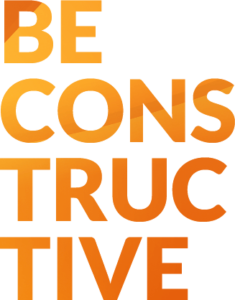 At Be Constructive, we are determined to leave a positive legacy for future property owners and communities in which we have worked. We are committed to being socially and environmentally responsible, and health and safety aware in all the projects that we carry out. give us a call or even better drop by our office for a chat.